This recipe stemmed from me really wanting mac and cheese, but not having the ingredients for the traditional deal. I basically made this up as I went along. Create a roux by melting butter and then stirring in flour. Cook for a minute or two. Then whisk in milk and cook until bubbly and slightly thickened. Add in garlic powder and season with salt and pepper. Mix in cheeses and cook until completely melted. Adjust seasonings, if needed. 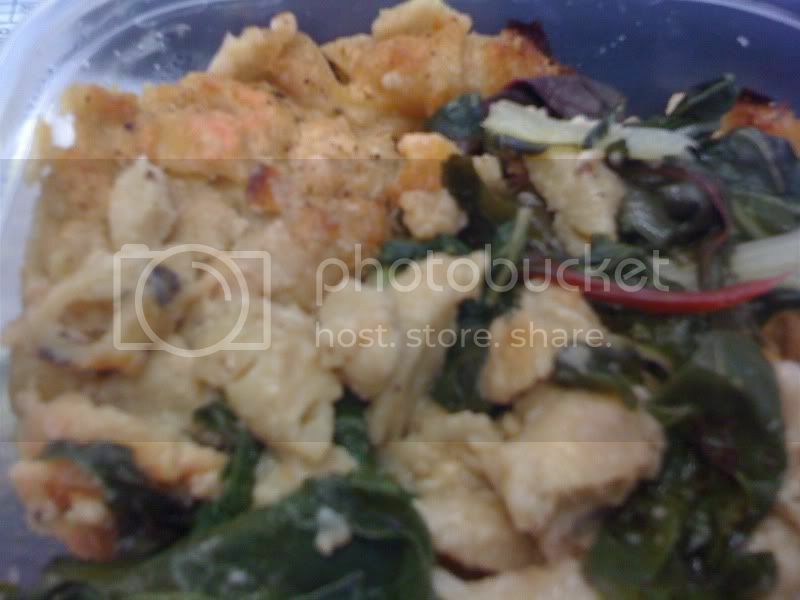 In an 8 inch square baking dish, sprayed with cooking spray, mix sauce with pasta and swiss chard. Top with bread crumbs and spring with additional parmesan, if desired. Bake for about 30 minutes, until the top browns.